Oh say can he sing! Rocco Scotti was born in Ambler, Pennsylvania January 9, 1920 - 89 years ago! He is somewhere in the middle of 14 children and comes from a "very Italian heritage". Rocco came to Cleveland when he was about 3 years old. 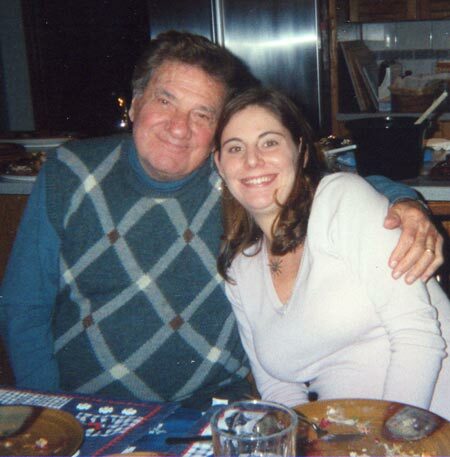 The family moved from Ambler to Cleveland's Little Italy area on Mayfield and Murray Hill. As an itinerant construction worker, his father found there was more work in Cleveland than Pennsylvania. Rocco started his education at Murray Hill Elementary School, followed by Oliver Hazard Perry Grade School. He graduated from Collinwood High School in 1939. He also took art classes at a local Art School because he thought he would someday be an artist, not thinking at the time that singing was his creative gift. His father and brother were both "very good singers" but Rocco eventually "took it further than any of them." As a single man he followed his father's footsteps and worked as a laborer for any number of construction companies. Carrying 100 pound bags on his shoulders he says gave him "a weak mind but very strong back." He continued to work with a voice coach during this time and met some interesting people who would help him later. One group included friends of the famed actress Eleanor Parker (left). 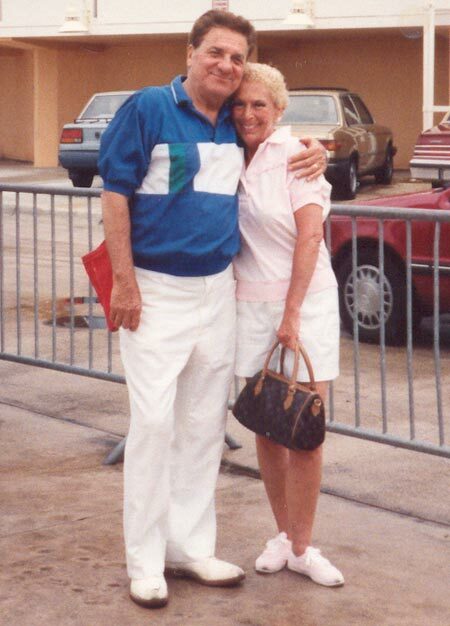 The group later invited him to go to California and meet with Ms. Parker, who also became a good friend. 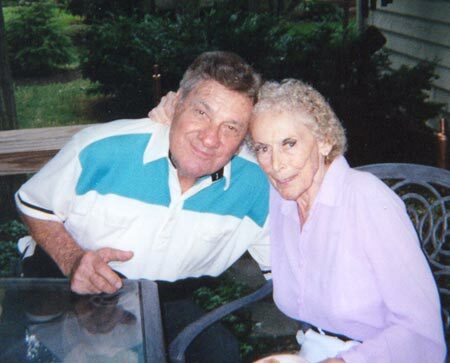 Rocco met his wife, June, while she was a receptionist at a doctor's office. 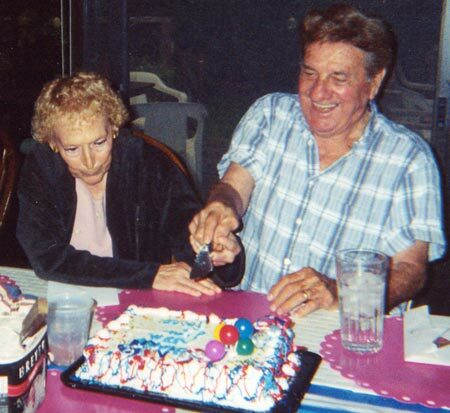 They were married in 1945 and almost immediately moved to New York so Rocco could study voice. A Metropolitan Opera conductor, Max Rudolph, heard him sing and wanted to teach him. They stayed in New York about two years studying the entire time, but nothing was happening. They moved back to Cleveland, but not for long. 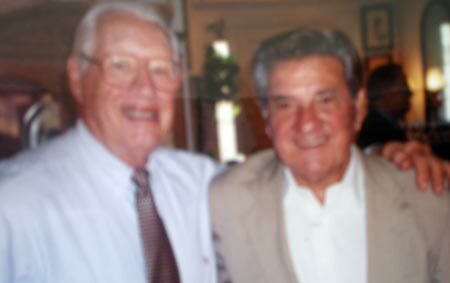 The friends of Eleanor Parker he had met previously, invited Rocco and June to Los Angeles and they decided to try it. While there he studied with a world famous tenor and was able to work in an Los Angeles nightclub with a show called Evening in Paris. 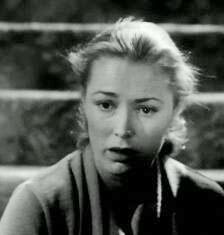 Eleanor Parker arranged for him to have a "talent test" with Warner Brothers Studio. They wanted him to start taking acting classes but Rocco says, "I was very impatient in those days. I wanted everything to happen right now." This would take time, so the young, impatient Rocco moved back to Cleveland. 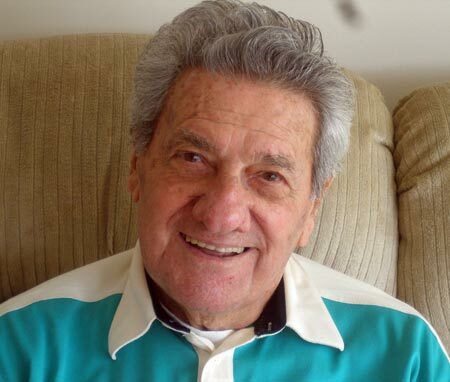 When he got back to Cleveland in 1948, he got involved with Cleveland 500, an organization that put on grandiose talent shows and opera productions. Rocco sang in the chorus in productions that included the likes of Allan Jones and Irene Dunne. He continued working full time in construction and took voice classes "here and there whenever I could." Every now and then someone would ask him to sing the national anthem, which he did. He had been requested to sing the anthem a couple times, but he never "did anything special with it." He sang it "very straight, not dressed up like in his later years." He was requested to sing the Anthem for the Cleveland Indians game when they played the Baltimore Orioles. He had sung for the Indians before, but this time he decided it was time to do something a little special with the anthem - but at the same time stay true to its origins. So in addition to a lot more passion and zeal, he added the now-famous high note at the end. "The Orioles came running out of the dugout. They loved it." A woman named Jackie York from Charter Productions approached him after the game and asked him to come back and do the anthem again and from that point on, he was the only singer the Indians had. 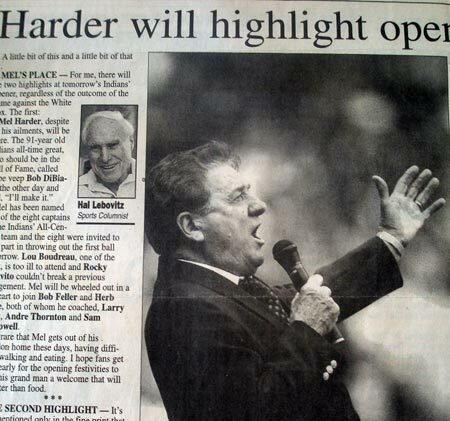 In 1993 the Indians stopped calling and Rocco's famed National Anthem was unofficially retired. He ran into Indians' owner Larry Dolan one day who asked him why he quit singing and Rocco explained that he didn't quit, he was just never called again. Dolan asked him to come back, which he did, but it didn't last. "Things change. Life goes on. Everything has to end. I can still do it, probably better than I ever did, but I have no regrets about it. No hard feelings." To this day people stop him on the street and ask him why he stopped singing the Anthem. "Life takes its course whether you want it to or not." Rocco himself had aspirations of becoming a baseball player but he says "I wasn't big enough or strong enough." He played sandlot ball and really enjoyed that. So it was even more of a thrill for him, not only to sing for the Indians, but virtually every major league baseball team, including one of his favorites - The Yankees. He also sang the Anthem at football games and especially loved singing at the opening game of the Pittsburgh Steelers season every year. "I always liked the Steelers." He also became the featured singer for the Cleveland Cavaliers and the Cleveland Force. Rocco also sang in Rome with The Rome Symphony Orchestra and produced two albums with them. Tom Hanks was performing at the Great Lakes Shakespearean Festival and Rocco had the opportunity to work with him in a feature role live on stage for two weeks. "I had always loved Tom Hanks then I got to work with him!" 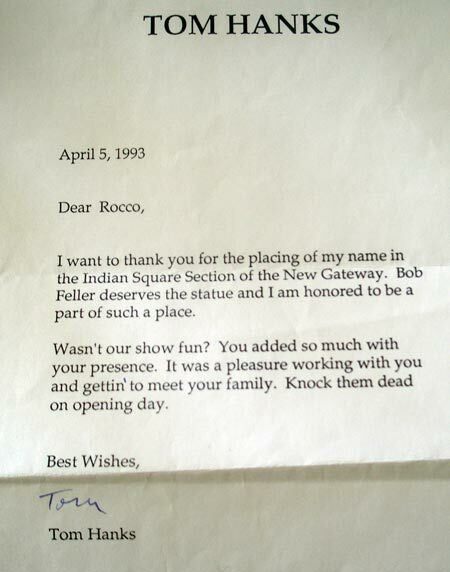 Hanks sent him a letter letting Rocco know how much he enjoyed performing with him. It was not just the American Anthem he sang either. He has sung the Polish National Anthem for Polish boxing team matches, the Hungarian National Anthem for Hungarian Basketball games, The Italian National Anthem for Italian soccer games and the Israeli National Anthem for a Cleveland appearance of the Assistant Prime Minister of Israel. Although he doesn't speak the languages, he learned what was required to sing the song with professionalism and to high acclaim. During this time he sang all over the country. 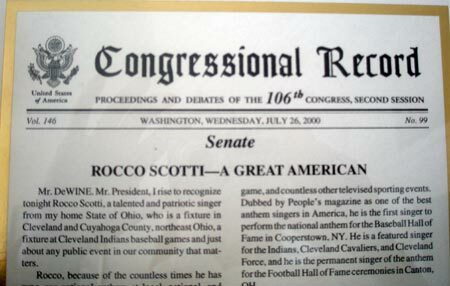 Rocco Scotti was the permanent anthem singer for the Football Hall of Fame Ceremonies in Canton, Ohio. He has performed for many nationally televised sporting events and civic functions in the United States and Canada. 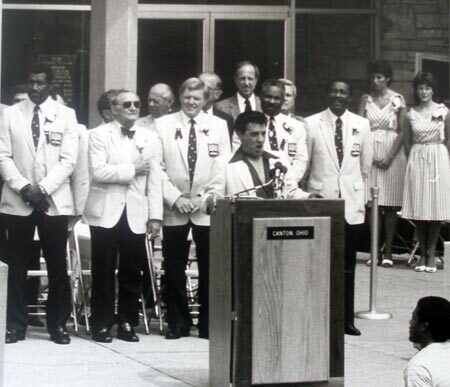 He even sang the National Anthem for Presidents Gerald Ford and Ronald Reagan. 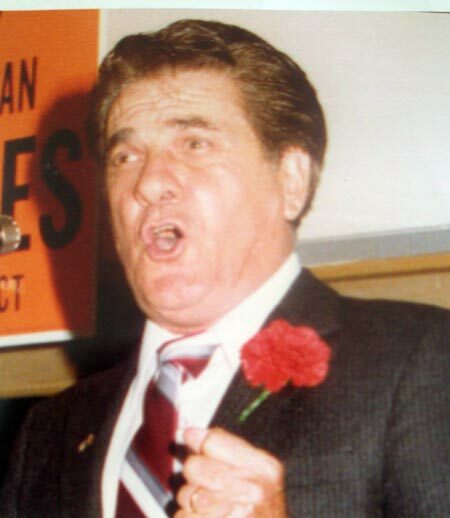 When Boom Boom Mancini fought Livingstone Bramble in an internationally televised event, it was Rocco who started it off with the Anthem. In 1981 he sang for the All Star Baseball game here in Cleveland. 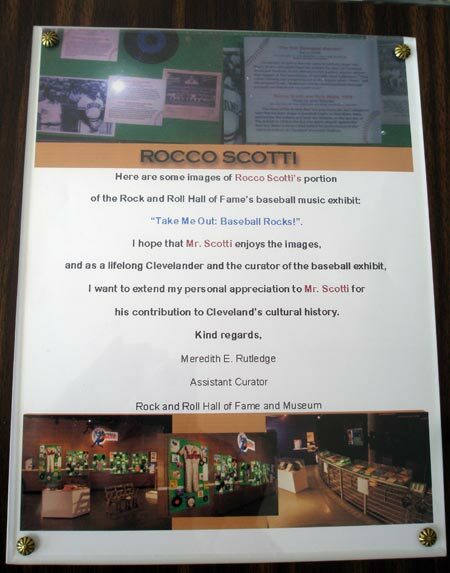 There is a display of Rocco's work achievements in the Rock and Roll Hall of Fame as well as a picture of him and his good friend former Indians player, Rick Waits. He is also very honored to have been awarded the Civilian Purple Heart from the United States government for his work in "inspiring patriotism through his exceptional performing of the Star Spangled Banner." Many civic organizations, local and national veterans groups, communities and charitable organizations have recognized him with awards and proclamations for his motivating singing of the Anthem. Rocco has sung the Star Spangled Banner live more than any other human being in the history of this country. His recording is now distributed nationwide to schools, colleges and various patriotic organizations for use in their assemblies. Rocco has heard the talk of possibly changing our anthem from The Star Spangled Banner to God Bless America. He loves God Bless America, and sings it often, but does not want to see a change. "An anthem should have drama and passion and that's what the Star Spangled Banner has. It is dramatic. It should not be changed." Although he adds an impressive high note at the conclusion of the song, he stays true to the original music and thinks all singers should. "This is not rock and roll or something where everybody can sing whatever they want. This is our anthem and it should be sung the way it was written. With style and class." Rocco is still employed "once in a while" by The John Paulich Specialty Company where he does some delivery work. 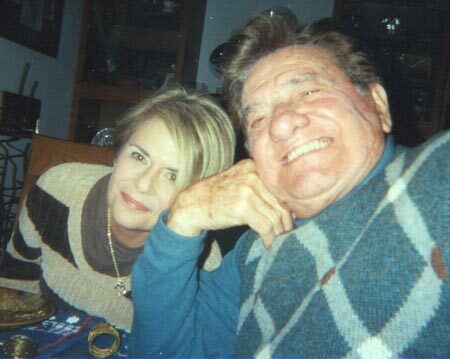 He and his lovely wife enjoy their home on Cleveland's West Side. They have one daughter, Jean, a granddaughter Kristen and now a great-grandson, Nicholas. There is something majestic about listening to Rocco Scotti sing our Anthem. Whether it is at the medal ceremony at the Olympics, the start of a sporting event, or some other major event, all of us at one time or another have had our eyes well up with tears of pride as our anthem is sung. Rocco's rendition understands that and encapsulates that feeling. Maybe it is because in addition to having such a remarkable voice, he has decided to use it in such a patriotic way. 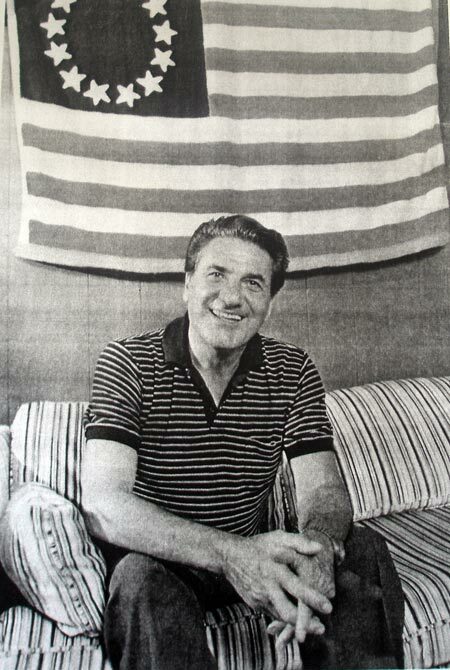 Patriotism is has not always been fashionable, but it always has been for Rocco. The son of a laborer, a laborer himself, Rocco proclaims with his singing "This is my country and I am a proud American." And America is proud of Rocco and Cleveland is proud to call him our own. 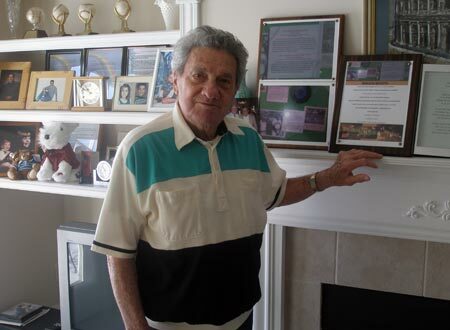 Listen to a message from Rocco Scotti. 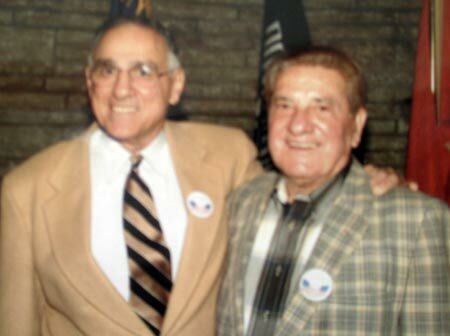 Update: Rocco Scotti passed away at the age of 95 on September 11, 2015. There will never be another like him and he will be greatly missed. Copyright � 2009-2015 ClevelandSeniors.Com. All Rights Reserved.